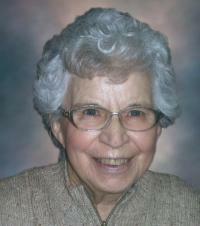 LLOYD, Donalda Barbara Foster (Hagen) On October 22, 2011, Mrs. Donalda Lloyd of Edmonton passed away peacefully in her sleep at the age of 87 years. Donalda “Donna” will be lovingly remembered by her daughter Connie Lloyd of Edmonton; granddaughter Barbara (Daniel) Godin of Caledon, Ontario; 3 great-granddaughters, Kayla, Jade and Tasha Godin; 3 sisters; Marion Booth of St. Catherines, Ontario, Eileen Broberg of Edmonton and Mabel Stanway of Spruce Grove; as well as numerous nieces, nephews, extended family and dear friends. She was predeceased by her husband Tegryd Lloyd; daughter Elizabeth “Betty” Childs and son Robert “Bobby” Lloyd. Throughout her life long career as a teacher, she inspired many of her students, colleagues, family and friends. In her retirement, she enjoyed the theatre, travel, photo club, bird watching, book club, writing classes, gardening and playing with her great grandchildren. A memorial service will be held on Friday, October 28, 2011 at 11:00 am at Foster & McGarvey Funeral Chapel, 10011-114 Street, Edmonton. Following Donalda’s wishes, cremation has taken place. In lieu of flowers, donations may be made to a charity of your choice as she supported many.